Have you been working your nicely manicured fingers to the bone? I know I have, it’s just that time of year. Loads of IEP meetings, evaluations and always progress reports (ugh). I’m giving you a few handy resources. You can give these to parents, your team, or share them with a CF student you’re supervising…and they’re FREE. First click here for those colorful Spring Speech Punch cards, there’s a colored version and b/w. While some of you may have seen them in my TPT store, a lot of you are new, so I wanted to make sure you knew about these. Use this as a poster or handout to share with your team at school! 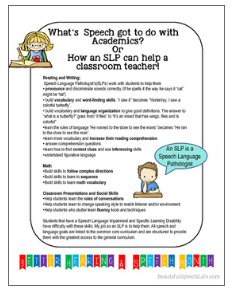 Created to celebrate Better Hearing and Speech Month, May 2017; this is a great tool to promote understanding of the role of Speech Language Pathologists in the school setting. Collaboration is key! 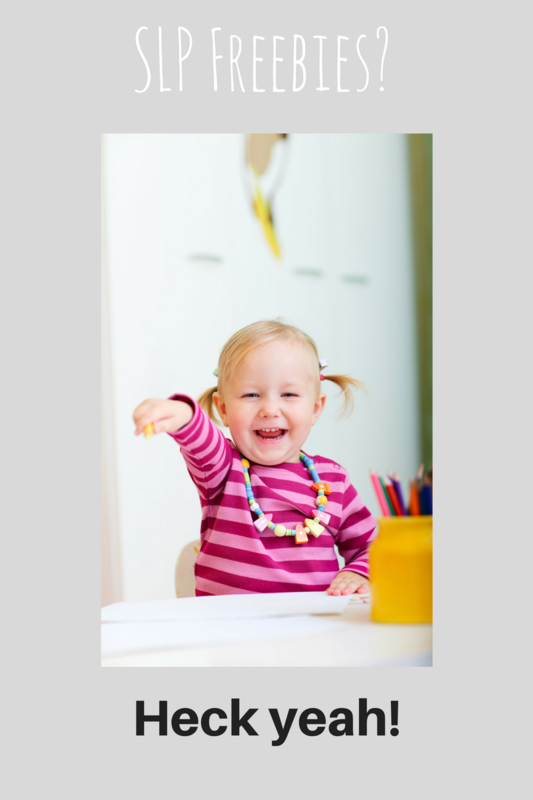 Did you know there is a developmental order of prepositional acquisition? Here’s a handy little FREE chart you can show to parents and teachers. 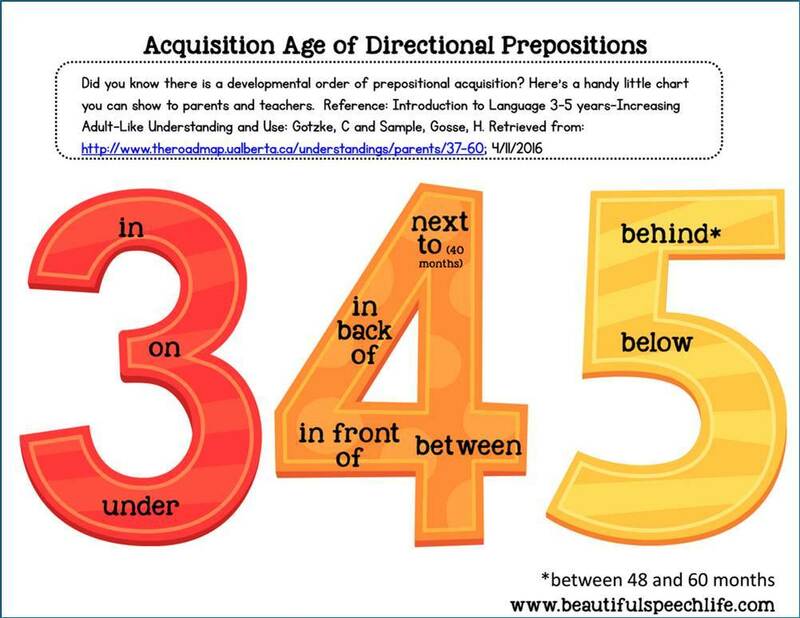 Use this to help determine what preposition your student is ready to learn next. This FREE download explains the difference between speech and language. We SLPs know there is a huge difference. 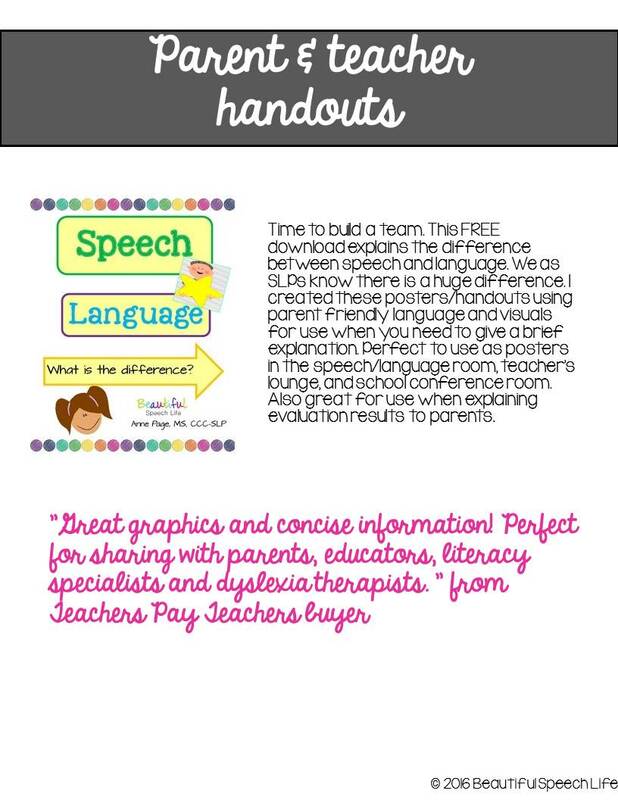 I created these posters/handouts using parent friendly language and visuals for use when you need to give a brief explanation. 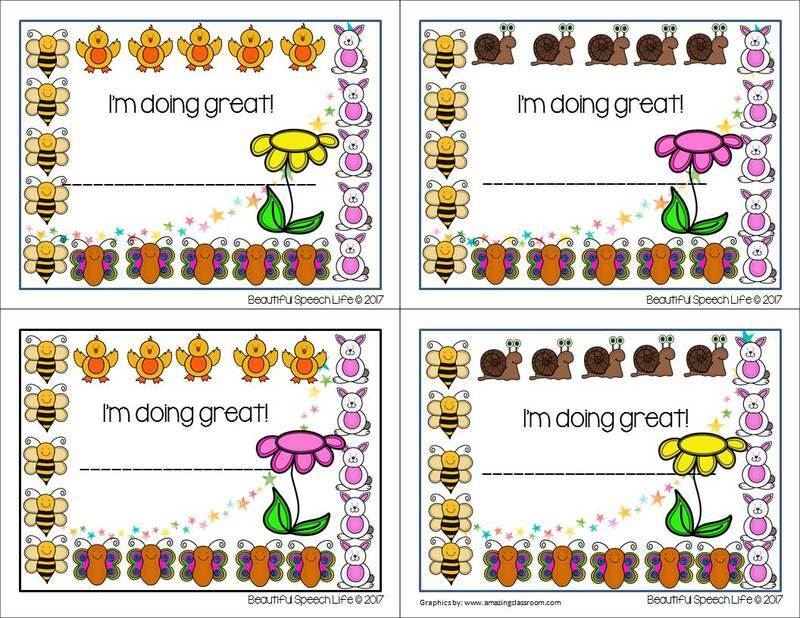 Perfect to use as posters in the speech/language room, teacher’s lounge, and school conference room. Also great for use when explaining evaluation results to parents. Thank you, thank you, thank you! The handouts are absolutely supercalifrangilisticexpeaalidocious! Not sure if I spelled that correctly! Yes, I’m a Mary Poppins fan!